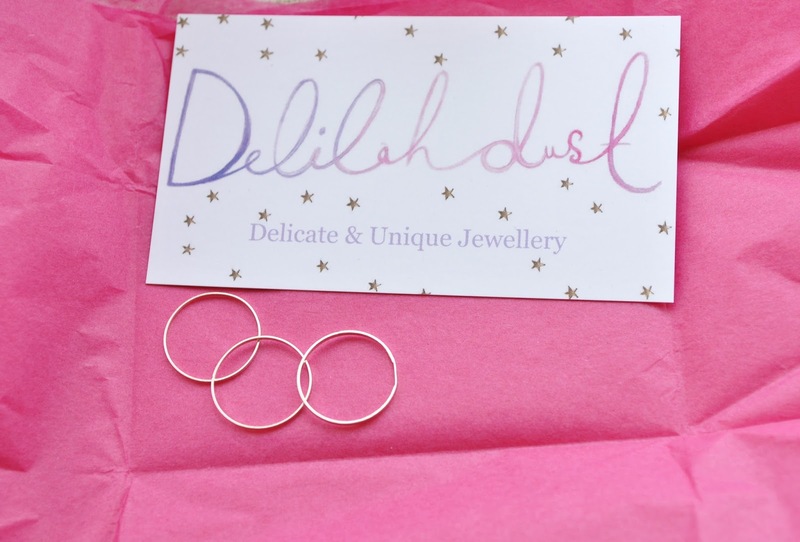 About a month ago I stumbled across the treasure trove that is Delilah Dust (visit the website here), a collection of beautiful jewellery for very affordable prices; what more could a girl want? From necklaces to bracelets to earrings, chances are there will be something you fall in love with, and to top it all off the postage is free in the UK (And only £2 worldwide)! After browsing the website and deliberating about what to order, I decided to go for the above-knuckle rings (sold here), available in silver or gold for £2 each, £2.75 for 2, or £5 for 3. Within minutes I had gone through the ordering process (payments are made through PayPal) and all that was left to do was wait in anticipation. After about a week my package was delivered, and I could not have been more thrilled. 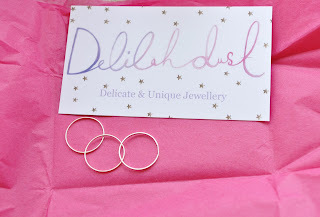 The rings arrived in an envelope with a handwritten address (the little touches make all the difference! ), and inside was this lovely little package. I was a little dubious about ordering the rings at first as they only come in one size, but they turned out to be a perfect fit! Unlike most midi/above-knuckle rings I've seen, these ones are actually very delicate bands, which to me is more comfortable. They sit quite happily just above my knuckles and don't tend to move much, making them very practical. Although the rings are silver-plated, I did notice that after a day of wearing them there was some discolouration on my fingers, so I just painted on a layer of clear nail polish to be on the safe side (This will stop that green colouring some jewellery leaves on your skin as well as prevent the jewellery turning coppery). However, overall I am very happy with this product and at just £5 for 3 (the lowest price I have found yet), they are perfect. 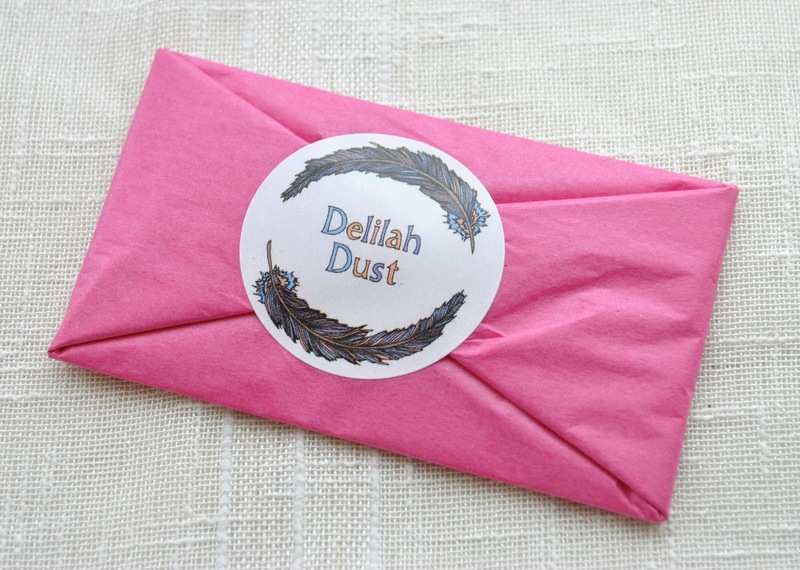 I would definitely recommend having a look at Delilah Dust's website for some gorgeous handmade, unique jewellery at amazing prices. You can also find Delilah Dust on Instagram, Facebook, Twitter and Blogger.